Evidence Is Important for Your Slip and Fall Case | Hupy and Abraham, S.C.
You are going to need more than your own word to recover damages after a slip and fall. You are going to need evidence to prove what caused the accident and the extent of your injuries. Take pictures of the accident scene from various angles and make sure that any surveillance video is kept. When a dangerous condition exists that causes a slip and fall resulting in an injury, the first instinct of the property owner or manager is to fix the condition so that it no longer exists. In a way this action is good, since it prevents someone else from being hurt. But it also can be bad for your claim, because the evidence of the dangerous condition is destroyed the moment the property owner fixes the problem. That is why we stress the importance of taking photographs right away. If you are unable to take the photographs yourself then have a friend or family member take them as soon as possible. Make sure to capture the actual spot where the accident took place, as well as a shot of the whole building or location, including the address for reference. Write down exactly what happened as soon as possible after your fall so that all of the details stay fresh in your mind. Collect names and contact information for people who witnessed the accident and may be able to help explain what happened. Of course, other evidence may also be available and should be discussed with your attorney. Medical bills. Hospital bills, doctor bills, physical therapy bills, and other medical bills will need to be provided. Additionally, your doctor may need to provide testimony or written evidence about your likely future medical bills. Proof of wages. This may include tax returns, pay stubs, invoices, or other evidence of the income that you were unable to earn or will likely be unable to earn in the future. Other bills. If you incurred any expenses such as property damage, transportation costs, or other damages then you can provide the bills as evidence. A list of things that you couldn’t do because of your injury. Did you miss weddings, your kids’ activities, your long-planned vacation trip, or other events because of your injuries? You may need to provide evidence that you participated in such things prior to your injury and evidence from your doctor that you could not participate in them after your injury. If you fail to provide evidence then you may not be able to get the full amount of damages that you deserve. Don’t let a preventable mistake keep you from getting fair compensation for your slip and fall injuries. 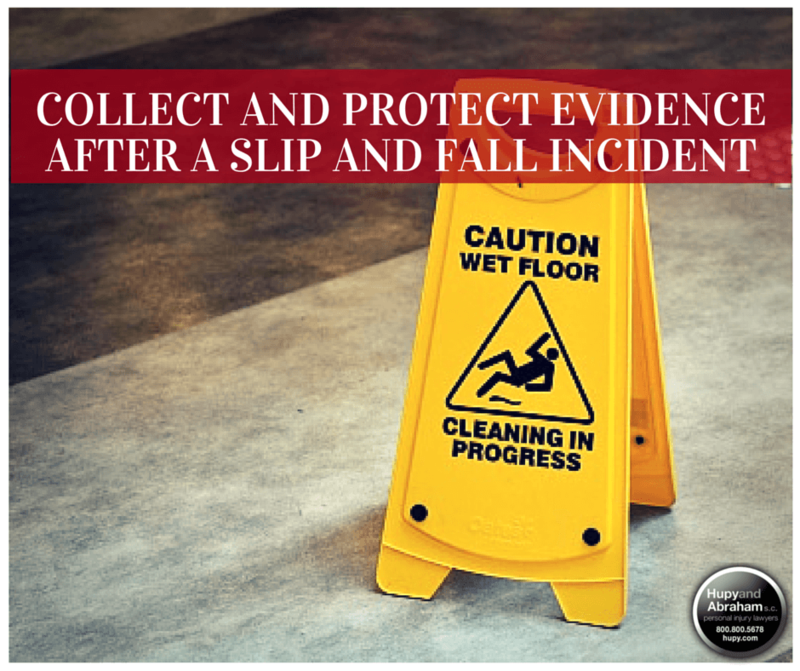 Instead, learn how to protect your rights in a slip and fall case by providing evidence of your claim. You can start by browsing our free library articles and by starting an online chat with us today.